Gone are the days when your morning joe cost you less than a buck, right? Wrong. The last thing you’d expect to find in a North Scottsdale shopping center filled with designer boutiques and over-priced furniture stores is a breakfast and lunch cafe thriving on simplicity. However, that’s exactly what you’ll find at Chloe’s Corner in Kierland Commons. Coffee snobs might expect that a 50-cent drip coffee would taste more like Folgers or instant coffee from the gas station. But it turns out that you don’t get what you pay for at Chloe’s -- you get more. The tasty beans at this cozy diner come from local roaster Passport Coffee and Tea, which is a hop, skip, and a jump from Chloe’s in the airpark. Passport has been roasting in the Valley (pun intended) since the early ‘80s, and their micro-lot beans come from small farms and co-ops around the world. Chloe’s brews a lighter roast with just enough punch to wake up your taste buds; you won’t find this custom blend anywhere else in the Valley. The result is a 12oz, locally roasted, sustainably sourced cup of coffee for much less than you’d pay at a chain or other local favorites like Cartel and Lux. But how is it exactly that Chloe’s gets by on 50 cents a cup when others charge two to three dollars? Coffee may not make Chloe’s money directly, but it’s definitely their secret weapon. It’s what gets people in the door, explained Young. 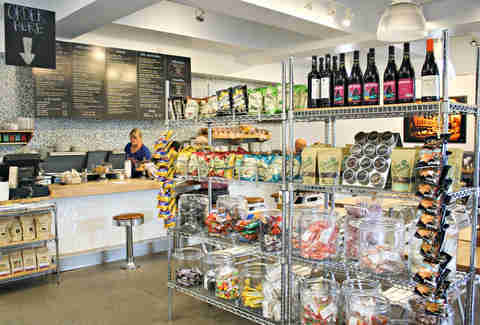 Then the wood-top counter lined with fresh-baked pastries, the charming chalkboard menu, the grab & go items, and the novelty snacks do their job to sell customers on more than just a cup of coffee. They have a full breakfast menu (try the egg sandwich, but add tomato and avocado), as well as classic but delicious lunch sandwiches, soups, and salads. Chloe’s is also slaying the snack game -- yogurt-covered pretzels and an assortment of candies and snack bars call out to you from the shelves as you wait in line. As Young likes to describe it, Chloe’s is like an upscale, non-greasy diner with a convenience store vibe. 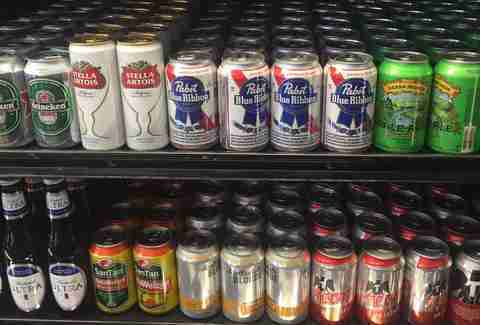 Chloe’s also offers a small but reliable selection of wine bottles and sells cold beer by the can or bottle. You’ll also find iced tea and fountain drinks, orange soda, and milkshakes, as well as two kinds of grilled cheese sandwiches and tomato soup. The joint actually started as a Fox Restaurant Concept called The Counter before Young bought it from the restaurant giant six years ago. 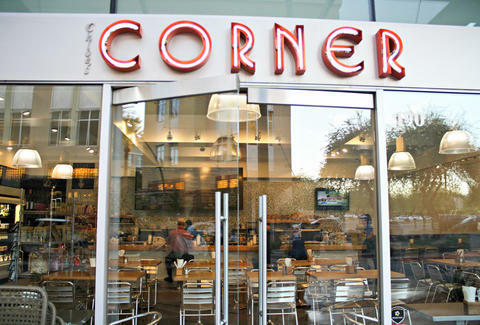 She worked for Fox and was involved with The Counter from the beginning, when Kierland Commons was desperately missing a solid breakfast option. There were two Starbucks nearby at the time, but no place where you could sit down and devour a hearty breakfast and sip a good cup of coffee. That’s when Chloe’s, their beloved 50-cent coffee, and their studly breakfast items first came to life. 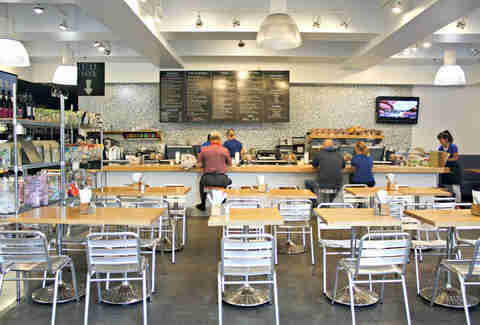 Young rebranded The Counter into Chloe’s Corner about a year and a half after taking over. That’s when she raised the price of coffee from 25 to 50 cents, easily still the best deal in town. There was one little problem though. “People were coming in and using their debit card for 50 cents and every swipe costs me money,” she said. So Young started selling a punch card for 10 bucks which allows customers to prepay for their coffee -- they cash in their punches for caffeine instead of charging their card two quarters every time. Unlike other cafes, Chloe’s doesn’t do the latte thing. “We’re strictly drip coffee,” she said. “This is what we do. It’s our drip coffee. If you want a latte, go to Starbucks.” Young said bluntly, adding that espresso-based drinks were never something she wanted to do, let alone something Chloe’s has the space for. Well played, Chloe’s, well played. Catherine Conelly is freelance writer and editor born and raised in Arizona, eating in the valley since 1989. You can follow her adventures on Instagram and Twitter.